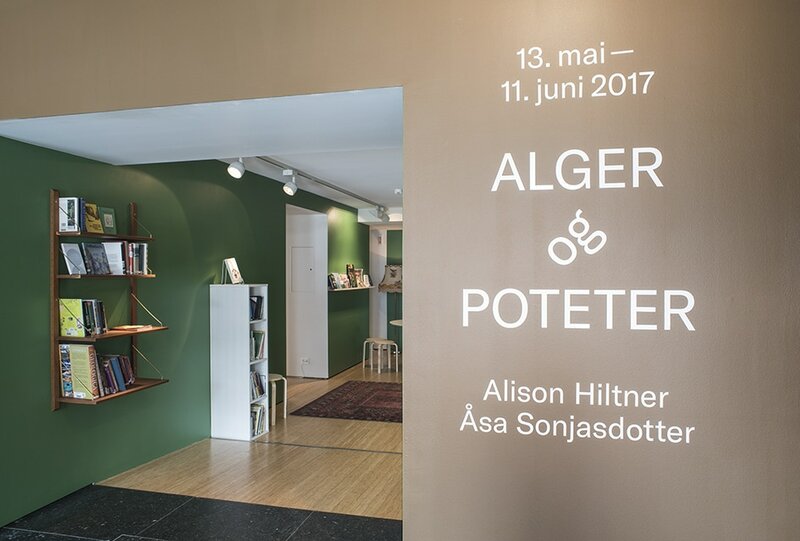 Algae and potatoes is an exhibition taking place between May and September 2017. The opening Saturday May 13th will be a part of the the festival Greenlightdistrict. 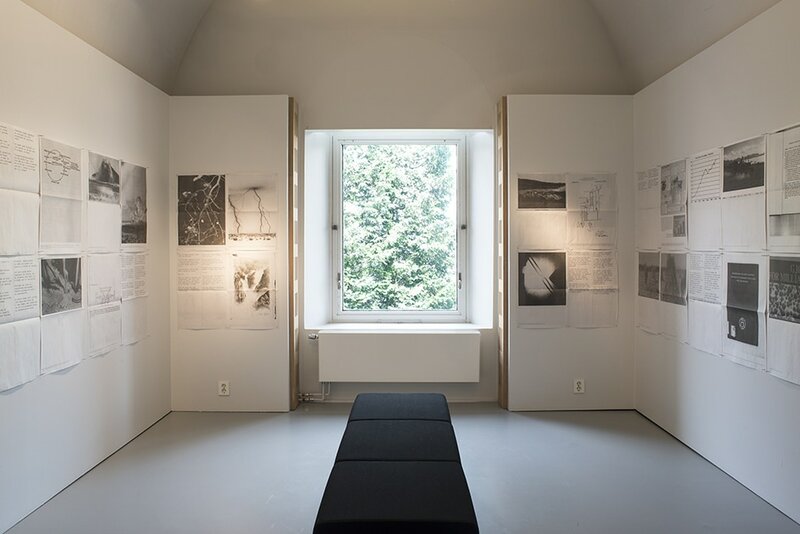 By including and collaborating with researchers and experts in these fields, the exhibition aims to show how algae and potatoes can be active agents and an influence for a more sustainable and inclusive focus in relation to climate change, as well as discuss and point at real opportunities for a green shift. The reference library Sympoiesis is put together in collaboration with the contributors of the show, both prior- and during the exhibition. 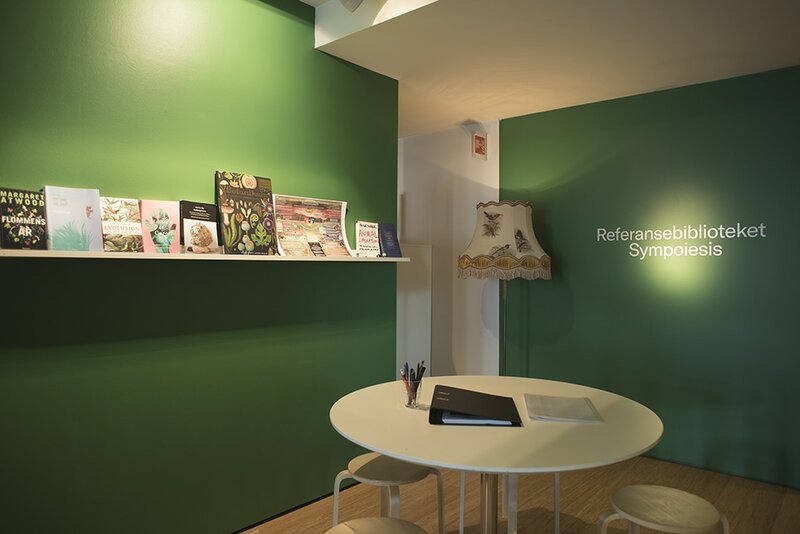 The library is named after Donna Haraways understanding of the word sympoiesis - making with, and the goal of the library is to offer a gateway to the complex themes of the show. Donna Haraway is a philosopher, feminist and professor at the University of California. She recently published the book “Staying with the Trouble: Making Kin in the Chthuluscene” (2016) which deals with how we can live together in what we´ve created for ourselves. The exhibition Algae and potatoes is a collaboration between curator Karolin Tampere and Ida Bringedal. Algae and potatoes focuses on art's ability to innovate and re-think. By an open and democratic dialogue, art holds a potential to point to other possible societies. It Was Tomorrow and It Is Yesterday is an interactive installation in which the viewer is immersed into a science fiction styled scenario which appears to be interpretations of the “real” world. 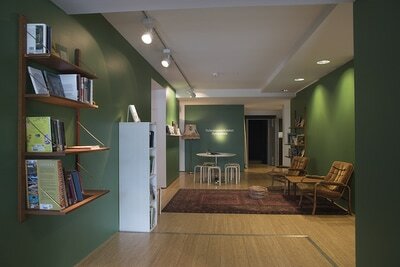 The main ingredient of this exhibition is micro algae, more specifially Spirulina. Hiltner chose this species because of it frequently being used as a CO2 scrubber/oxygen generator and fuel source; it is a journey into cultivating and utilizing this hard-to-define cyanobacterial organisms. Spirulina is neither flora nor fauna instead it is a mixture of neither and both, deriving its energy from photosynthesis (its only solid connection to flora), it also possesses the infrastructure of a unicellular parasite. Algae’s combined composition seems ideal to explore the ways in which our earthly co-habitants are forging new ways to attempt to create a better tomorrow for the human organism. 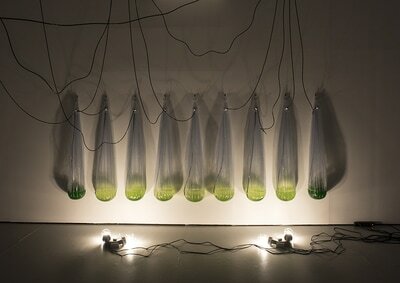 The algae blooms encased inside vinyl sacs that respond to CO2 data. 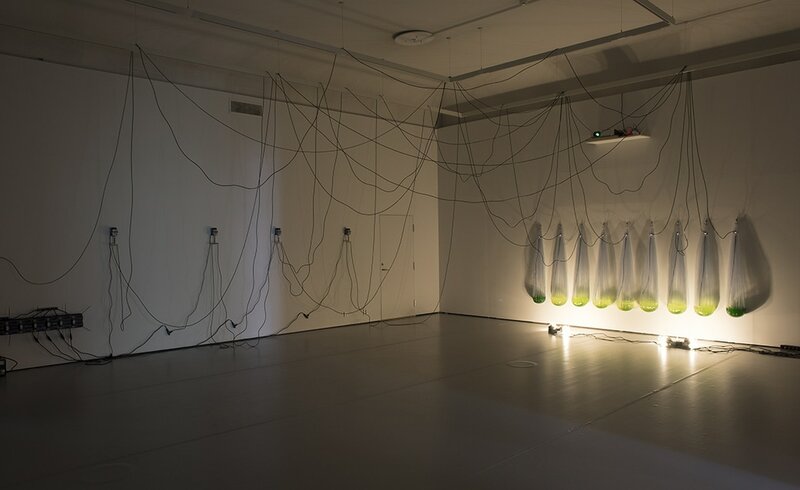 The data is collected by participants blowing into the sensor piece on the wall, and the algae responds as if more oxygen has entered the closed atmosphere. Participants start an exchange wih the algae and the cyanobacteria release a unified sigh of oxygenated air. The duration of the sigh corresponds to the time spent breathing on the sensors, and together they create a rhythmic rudimentary form of communication. The algae sacs are responding to their environment by inflating and deflating in reaction to the data acquired from the sensor. Average temperatures across the planet are rising each year, stoked by the ever-increasing carbon dioxide in the atmosphere. Algae - aquatic and microscopic organisms - transform carbon dioxide into oxygen, accounting for 75 percent of the oxygen we breathe. As humans, we are dependent on algae as part of the ecosystem that sustains us. More specifically cyanobacteria were instrumental in forging the earth’s atmosphere from the beginning of the evolution of life. It also holds a very complex place in our rapidly altering climate, both as a resource as course-corrector as well as a force for ecological destruction. Hiltner sees this as a concise connection to how humans interact within our environment. 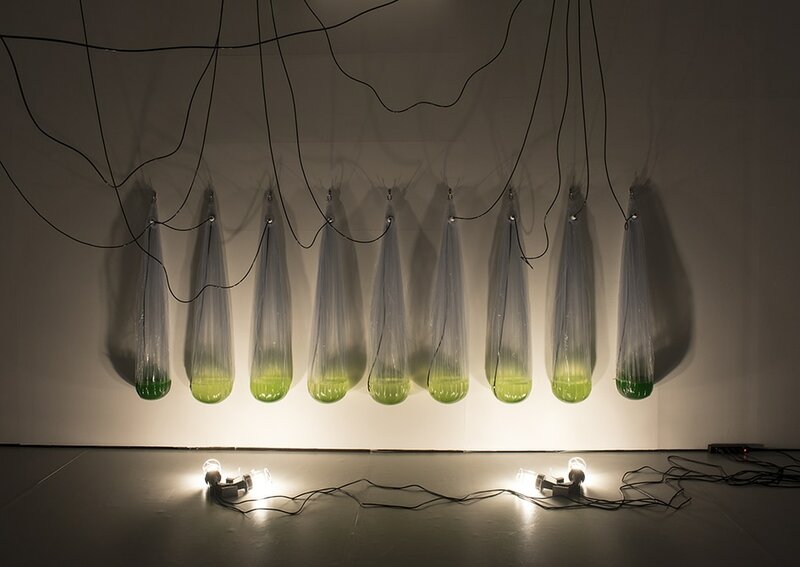 By breathing into the sensor, visitors create an exchange with the algae, their carbon dioxide and in turn the algae will release more oxygen into the air. The sensor will also collect aggregate CO2 level data that creates a baseline for the aeration pumps allowing the sacs to “inhale” and “exhale”, when the audience is not controlling the sacs with their breath. 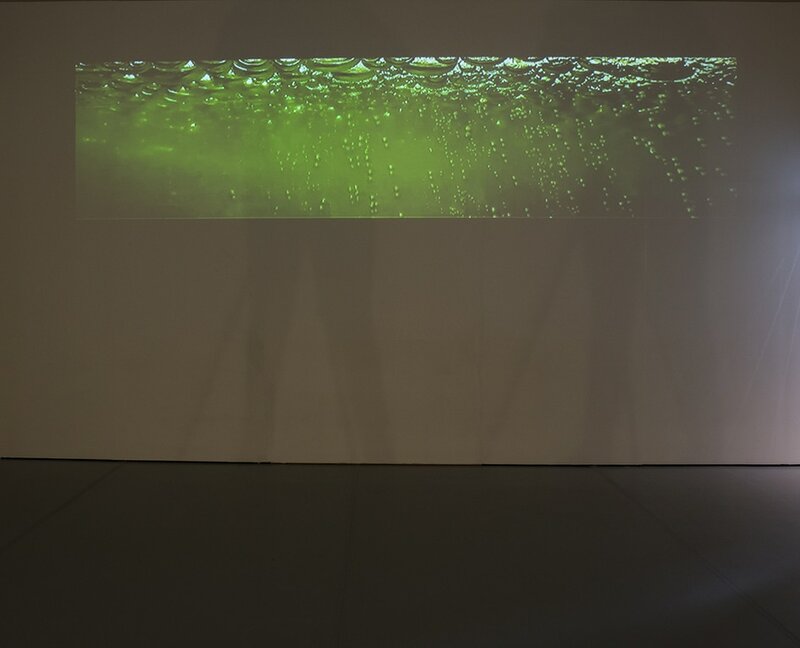 The accompanying video projection visualizes the collected data; the rise and fall of the audience to algae exchange will be depicted by the changes in speed of the bubbles filmed in one of the cultivation tanks. Alison Hiltner thinks of her self as a science fiction archelogist, as she explores the media landscape of movies, TV and video games and the interlace with scientific research. It Was Tomorrow and It Is Yesterday is a responding art work demonstrating a symbiosis of algae and humans. By being both an experimental labratorium and a symbiotic organism, the installation will have the visitors dwell in a landscape influenced by science fiction, but inhabited by real organisms, where facts and fantasy meet. By creating a personal relationship to the sensoric data, the work gives an intimate approach to climate issues. Humans make connections in the natural world in different ways, and the more we care about our surroundings, the more we long to understand and invest in the future of the environment and the organisms on earth which are our co-habitors. 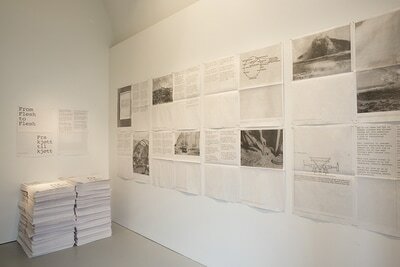 From Flesh to Flesh by Åsa Sonjasdotter is based on the old type of cultivated potato, the meat potato. Sonjasdotter tracks human beings relationship to their nutrition based life cycles. The research entails cultivation by the rare meat potato, a functioning composting toilet, developed and run in collaboration with Petter D. Jenssen (from The Faculty of Environmental Sciences and Natural Resource Management, Norwegian University of Life Sciences) and a narrative in text and images. The story runs from the cultivation of Kjøttpotet and the sustenance culture it was bred within and for, to the shifted conditions for cultivation and growth through the discovery of a method for the fixation of airborn nitrogen. Norwegian industries were world pioneering in fabricating synthetically produced fertilizer. Since nitrogen influences biomass growth, it’s presence or absence is what limits the possibility for organic growth. Overcrowding has become a threat not only for human survival but also for the lives of many other species on Earth. This destructive dimension of human life has become today's apocalyptic reality. With the Project From Flesh to Flesh, Sonjasdotter wants to form a change in this story by proposing a real and possible reconnect to nutritional cycles. The growing population is perhaps a threat to the ecosystem's balance, but it is also a resource. Humans produce waste that is highly nutritious for the soil. If their waste is cared for and circulated back to the soil, it will contribute to the nourishing of farmland, supporting also their own food production. A potato in the backyard can either mean that survival through one year is guaranteed or that one has a meaningful and relaxed free time. Growing potatoes has primarily been a way of contributing to the household, but today, small scale cultivation can mean the opposite - that one has the energy to engage in a hobby. "MAKING A LIVING" was grown as a potato field outside the entrance of Västerbotten Museum and was harvested at the end of the exhibition period. The crop was cooked and served at the farmyard. The process of planting the potatoes begins in May, in the backyard of the TKS. The crop will be harvested, prepared and served at the art center during September 2017. Alison Hiltner is an American artist living in Minneapolis, Minnesota. She holds a BFA from the Universitety of Kansas and a MFA from the Universitety of Minnesota. Her career includes solo shows at Spike Gallery i New York, the Museum of Surgical Sciences in Chicago, Heineman Myers Contemporary Art in Washington DC, Harcourt House Arts Centre in Edmonton and Concordia University. She was an artist in residence at Sculpture Space and recently the Soap Factory, has received a number of state- and private grants. Hiltner has exhibited in numerous group exhibitions on the east coast and in the Midwest including the Evanston Art Center in Chicago, Minnesota Museum of American Art, Perlman Museum at Carlton College and the Minneapolis Institute of Art. Hilter is affiliated with Soo Visual Arts Center as Associate Director. Parallell to Algae and Potatoes at TKS, Hiltner also has a solo show at Minneapolis Institute of Art (MIA). Åsa Sonjasdotter is an artist born 1966 in Helsingborg, Sweden. 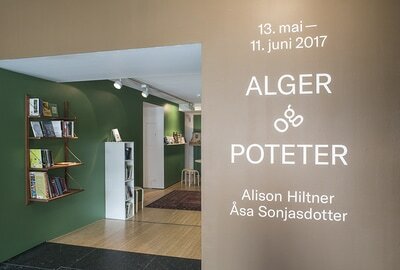 Sonjasdotter collects stories built on complicated relationships between co-habitating humans and plants. She has for long been engaged with stories about the potato, a plant that nourished the industrial- and agricultural revolution and thus made major cultural and demographic changes possible. In her artistic practise she´s been highligthing processes related to body, memory, loss of sensation of time and space through the cultivation of plants, images and stories. 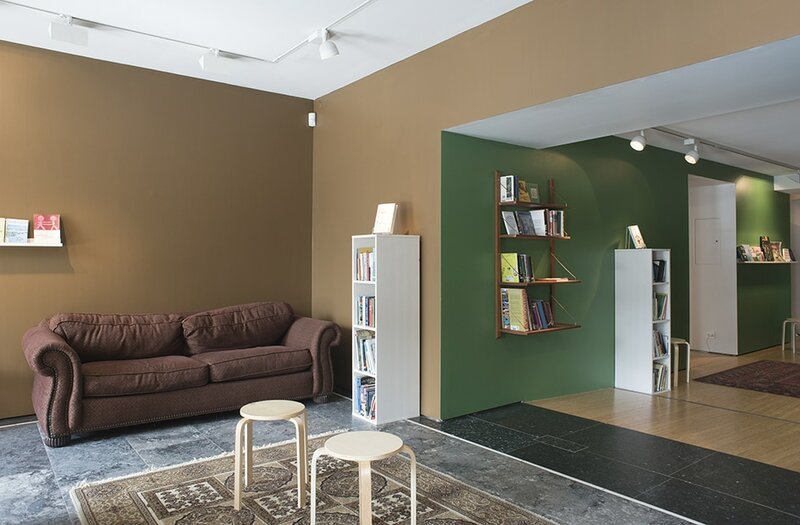 Sonjasdotter is one of the fouding members of The Neighbourhood Academy, a grasroot driven platform for learning, and a branch of the Prinzessinnengarten, an urban garden in Berlin, Germany. She has been a professor at Tromsø Art Academy, an institution she took part in establishing in 2007. From 1996 to 2006 Sonjasdotter was a founding member of the Danish feminist art- and action group Kvinder på Værtshus (Women Down the Pub). Sonjasdotter has studied at The Royal Danish Academy of Fine Arts in Copenhagen and at Trondheim Academy of Fine Art in Norway. She holds an MFA from the Department of Theory and Communication at The Royal Danish Academy of Fine Arts. As of 2014 she is a fellow at the Art Department, University of London, UK. Sonjasdotter has been awarded the COAL prize for environmental art in France (Prix COAL Art et Environnement) in 2014 by the Ministry of Culture and Communication and the Ministry of Ecology and Sustainable Development. Her piece The Order of Potato has been awarded by The Danish Art Foundation in 2009.